Just spoke with Tim this morning. I so enjoy his storytelling and his humor. I am confident you will learn a lot from this powerful, simple yet profound, story. Gorgeous photo, too! It was going to be a fun gig. Twenty-four hula instructors from Japan were to visit the Island of Hawaii to study traditional Hawaiian Kahiko-style hula from a local kumu hula. Our job was to facilitate communication and cooperation between the local hosts and our Japanese guests. Upon arrival we placed a lei around the necks of our guests, then broke the Japanese “no-hug rule” with each and every one of them. (Freaked them out a little but made everyone smile.) Next stop was the local hotel where they rested and freshened up for our opening ceremony that evening. 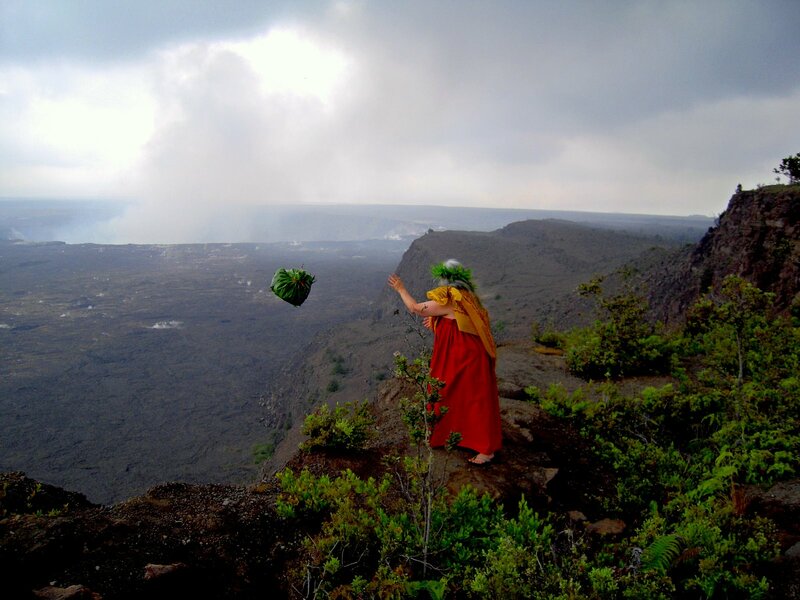 The next four days our guests underwent intensive instruction from the local kumu hula, learning Kahiko basics and the proper chants, culminating in a sacred gathering at the edge of Hawaii’s smoking Halema’uma’u crater where they danced and chanted for Pele.